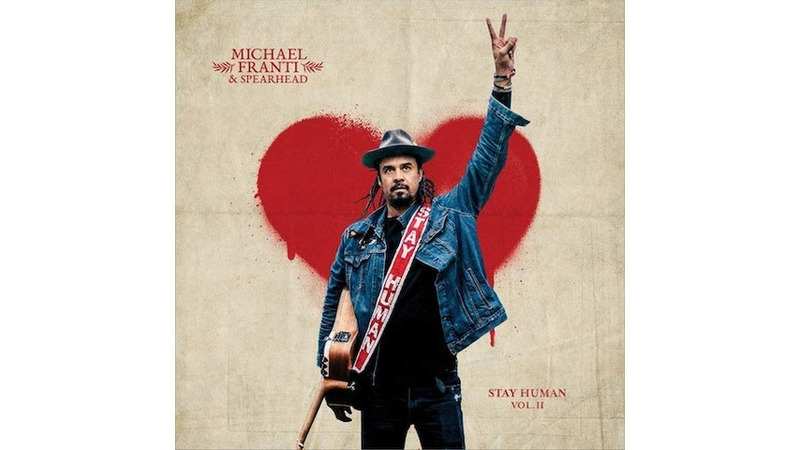 “I remember when a bar fight used to be a fist fight/But that’s alright it never ended in a gunfight,” Michael Franti reflects on “Little Things,” lamenting the violence that’s seemingly engulfed all aspects of society lately. Franti’s exuberance has somehow not been diminished by the pall of violence that’s cast over the world today, but he clearly feels tested. Of course there’s no small amount of wishful thinking reflected in those sentiments, especially given the fact that the divide seems wider than ever before. Consequently there are equal parts optimism and pessimism to be found in a song bearing a title like “This World Is So F*cked Up (But I Ain’t Never giving Up On It).” Franti’s always made it his mission to maintain an upward glance while inspiring his fans and followers to do the same. Indeed, given his penchant for upbeat anthems and songs of celebration, one would hardly expect him to cave in from the weight of the world at this point. It’s an irrepressible attitude that underscore such songs as the lively “Stay Human 2,” the cheery hip-hop sing-along “Summertime Won’t Last Long,” the reggae rhythms of “Just To Say I Love You,” and practically every other offering included here. Franti and company clearly exude confidence that even in a dire and distressed world, there’s still hope to be found in simple pleasures and pastimes. On the other hand, when one takes a musical mantra and shares the fact he sees it as a source of salvation, it gives skeptics ample cause to denounce it as Pollyanna-ish and dismiss it as little more than superficial suggestion. The bouncy beats, playful rhymes and cheery exhortations provide plenty of ammunition for anyone who might choose to accuse Franti of spouting a simplistic philosophy. Then again, they probably ought not bother listening anyway. By now it’s clear Franti and company are tireless cheerleaders when it comes to putting a positive spin on worldly circumstance, no matter what else is occupying the collective mindset at any given moment. “This one’s dedicated to everybody out there/Living life in the present moment,” Franti declares before launching into the effusive and exuberant “Enjoy Every Second.” Suffice it to say, those he’s referring to are the ones most likely to listen.